Even if English has been the official language in Romania-based multinationals for a while now, expats taking up long-term positions here may find it is not quite enough. Knowing Romanian, instead, can bring expats closer both to their local colleagues and the company’s culture and values. 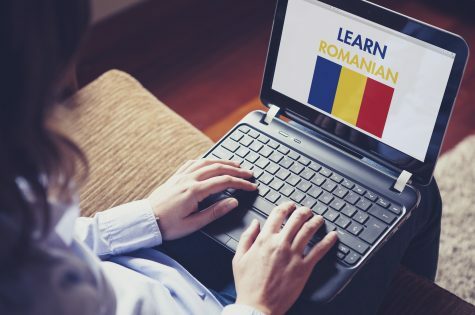 As the number of expat managers and staff working in Romania has gone up, there has been increased interest in Romanian language courses, especially since 2007, when Romanian became one of the official languages for the publication of European Union documents. When choosing such a course for their expat managers, HR Departments should take into account, first of all, the course provider’s experience, as well as its performance track record. Another criterion should be the ability of the provider’s trainers to design courses that appeal to and motivate their expat students, which can be easily checked via demos. Unfortunately, many of the expats I meet lament the fact that trainers fail to teach them our language in an engaging way. Studying a language which is quite difficult, such as Romanian is particularly to expats whose mother tongue is non-Romance, with trainers who insist too much on grammar or use unappealing teaching methods, can be really boring and cause expats to drop out after the first classes. The answer lies in dozens of training sessions conducted by British trainers and coursebook authors published by Cambridge University Press. During training, our teachers acquire teaching techniques currently used in the most efficient language courses worldwide. Complementarily, our teaching materials – textbooks and custom-made worksheets, visuals, realia, handouts, etc. – stir our students’ interest and curiosity. Other important criteria to look into when choosing the right provider are: Do they have an ongoing Professional Development Scheme for their teachers of Romanian? Do they have a Teaching Quality Supervision procedure in place? Do their Academic Managers hold adequate international qualifications? Are all of these regularly inspected by independent expert institutions in the field of language teaching? Last but not least, does the provider also offer its clients a cultural agenda? Cross-cultural courses aim to make expat managers familiar with characteristic Romanian values, attitudes and behaviors, so that their interaction with local staff, clients and partners can become substantially more meaningful. Workshops can be two hours or two days long. It is useful to know that the needs of expat students vary depending on when the needs analysis is conducted. On arriving in Romania, for instance, they want to learn fast how to greet appropriately at different times during the day, and to acquire elementary vocabulary which allows them to understand and communicate in basic day-to-day situations. Then, as time goes by and the expats get settled in their professional roles, their language needs evolve commensurately, so two/three years after their arrival they may need to hold press conferences or take part in live TV shows in Romanian. This is why it is really important that we set, from the very beginning, together with the HR and the expat, the short- and long-term goals they have in mind, so that our teaching can help them achieve the objectives within a realistic timeframe. It is often said that expat professionals feel more integrated in other countries than in Romania. That’s not quite true. Luckily, international-standard expertise is now available for expats to understand the context in which they are working. I would point out that, at present, it is up to the expat’s company culture and the expats themselves to decide whether or not they want to access that expertise. What we have noticed time and again is that the image-related benefits and advantages obtained by expats who do decide to learn our language and understand our values are immense, and they always make a difference in their working environment. I will always remember the standing ovation received, for minutes on end, by one of Her British Majesty’s Ambassadors to Romania, Mr Martin Harris, when he recited “Mioriţa,” the Romanian ballad, from the first to the last line, in fluent, accurate and eloquent Romanian, at an event in Bucharest. Many PR companies wish their clients could obtain such a tremendous image benefit. Well, Mr Martin Harris did it by taking Romanian classes. Our probably best-known student is Mr Jonathan Scheele, the former Head of the European Commission Representation in Romania, one of the masterminds of Romania’s accession to the European Union. As Mr Scheele acquired proficiency-level Romanian, a 2006 survey ranked him one of the most popular Romanian politicians. (Even though Mr Scheele was a diplomat, not a politician, and en expat, not a local, the Romanian survey respondents mentioned him repeatedly when asked the open-ended question about popular politicians in their country.) Two of our alumni, the former and the current UK Ambassadors to Romania, Messrs Martin Harris and Paul Brummell, have both sat and successfully passed C2 and C1 Romanian language exams, respectively, at the University of Bucharest. Other well-know business people who have studied Romanian with our trainers are former CEO Orange Mr Richard Moat, CEO Coca-Cola HBC Mr Alexis Sacre, and CEO Exxon Mobil Mr John Knapp. Mihai Laurenţiu Gânj is the founder of International House Bucharest and English Kids Academy, and Master Franchiser for FasTracKids International in Romania. He is also an inspector with London-based International House World Organisation, a consultant in human relationships development (certification in progress with the Paris-based ESPERE Institute), and a certified trainer with the Institute of Transformational Psychology in Bergen, the Netherlands. Mr Gânj is a certified consultant in Balanced Scorecard Strategy Management.